“Rubber Ducky Your the One! The Rubber Duck baby shower party theme is perfect choice for parents who don’t know the baby’s gender yet. It works for both boys and girls. Here is free printable Rubber Duck baby shower invitation. 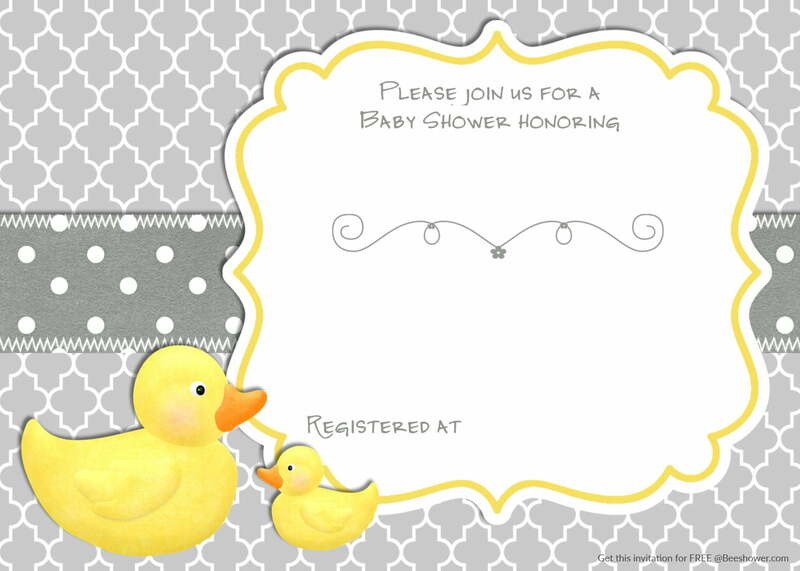 This Rubber Duck baby shower invitation comes in elegant grey color. Don’t forget to write down, the date, time and your location. If you’re registered, write down the place. When you’re done filling the party details you are ready to print it out. You can use cardstock to make more authentic feel.